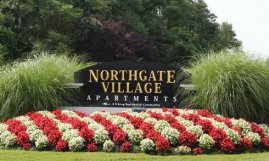 Want to grab breakfast near your apartment in Burlington, NJ? One of the best places to do it might be Amy's Omelette House. This New Jersey chain has three state locations, including one at the intersection of Route 130 South and High Street in Burlington. The restaurant's ambiance evokes a classic Jersey diner, complemented by some eclectic wall art and decor. Of course, the food is the primary draw here, with distinct menus available for breakfast, lunch, and dinner. You might expect a place with "Omelette" in its name to have a number of omelettes available, but Amy's extensive menu is still a surprise. The menu includes more than 200 omelettes, including ingredients ranging from spinach broccoli, bacon, and ham to kielbasa, chili, and hot peppers. Breakfast favorites like pancakes are also available, and Amy's lunch and dinner menus offer stuff like burgers, pork chops, meat loaf, and salads. Another great dining option near Burlington, NJ apartments? Fans of seafood may enjoy visiting Burlington's Blue Claw Crab Eatery. This New Jersey seafood restaurant first opened in 1961 and in the ensuing decades it's earned quite a few fans. The seafood here is extremely fresh: Blue Claw's website declares that it arrives daily from coastal spots all over the country! A long list of shellfish options on Blue Claw's menu includes choices like dungeness, snow crab, and king crab, available by the pound or as part of a combo meal accompanied by shrimp, clams, or mussels. You'll also find entrees like broiled salmon, fried oysters, and scallops with angel hair pasta. Almost everything's available for take-out, too in case you'd like to dine back home at your Burlington, NJ apartment. Visit Blue Claw Crab Eatery's website to learn more about this Burlington restaurant! Beer aficionados are likely to find something to love at Geraghty's Pub. This Burlington bar and restaurant has a long beer list including domestic favorites, popular imported beers, and a huge number of craft brews. Breweries like Abita, Magic Hat, Victory, Dogfish Head, and Southern Tier are well-represented on the list, as are others like Ommegang and Long Trail. For those who prefer wine, Geraghty's has a number of choices, and for those seeking a bite to eat the menu includes classic pub fare like burgers, cheesesteaks, fish and chips, and fried chicken. This Burlington restaurant also serves brunch on Sundays, and it's open until 2 a.m. daily. Geraghty's Pub also hosts a number of fun events throughout the week. On Friday and Saturday nights, the place has live music.